Dr. Edward H. Bensley Osler Library Research Travel Grant – Awarded to those whose project requires traveling to Montreal to consult material in the Osler Library. Each year up to $4000 in awards will be made available to one or more individuals who require a minimum of 2 weeks to carry out their research. This research must fall within the calendar year in which the grant is awarded. Applications for the 2018 grant must be received by December 31, 2017. Mary Louise Nickerson Award in Neuro History – Awarded to one or more scholars who are interested in carrying out research utilizing the Neuro History Archival and Artifact Collections – the centre-piece of which is the Penfield Archive in the Osler Library – and other available resources at the Osler Library, the Montreal Neurological Institute, and the McGill University Archives. Applications for the 2018 award must be received by December 31, 2017. Dr. Dimitrije Pivnicki Award in Neuro and Psychiatric History – Awarded to one or more students and/or scholars wishing to carry out research utilizing the rich archival and monographic holdings at McGill University, such as the Penfield Archive, and other resources available at the Osler Library (see McGill Library Catalogue and the Osler Library Archives Collection), the Montreal Neurological Institute, and the McGill University Archives. Applications for the 2018 award must be received by December 31, 2017. Additional information on terms, requirements, how to apply, previous winners, and general information about the library can be found here. We welcome all further enquiries at osler.library@mcgill.ca or 514-398-4475, ext. 09873. Feel free to share this notice with your own networks, listservs, and social media outlets to help us spread the word about these fantastic opportunities! Dr. Edward H. Bensley Osler Library Research Travel Grant – Awarded to those whose project requires traveling to Montreal to consult material in the Osler Library. Each year up to $4000 in awards will be made available to one or more individuals who require a minimum of 2 weeks to carry out their research. This research must fall within the calendar year in which the grant is awarded. Applications for the 2017 grant must be received by December 31, 2016. Mary Louise Nickerson Award in Neuro History – Awarded to one or more scholars who are interested in carrying out research utilizing the Neuro History Archival and Artifact Collections – the centre-piece of which is the Penfield Archive in the Osler Library – and other available resources at the Osler Library, the Montreal Neurological Institute, and the McGill University Archives. Applications for the 2017 award must be received by December 31, 2016. Dr. Dimitrije Pivnicki Award in Neuro and Psychiatric History – Awarded to one or more students and/or scholars wishing to carry out research utilizing the rich archival and monographic holdings at McGill University, such as the Penfield Archive, and other resources available at the Osler Library (see McGill Library Catalogue and the Osler Library Archives Collection), the Montreal Neurological Institute, and the McGill University Archives. Applications for the 2017 award must be received by December 31, 2016. The Osler Library is pleased to announce that we have selected three researchers out of a very worthy pool of applicants to receive this year’s Dr. Edward H. Bensley Research Travel Grants to support their work at the Osler Library. This year’s recipients are Dr. Sasha Mullally, Dr. Elma Brenner, and Emily Lockhart. Dr. Mullally is a professor of history at the University of New Brunswick. She holds a doctorate in history from the University of Toronto and is a specialist in the social history of medicine and health in Canada and the US. She is currently co-investigator on a study of the history of medical diasporas in Canada, a SSHRC- and AMS/Hannah Foundation-funded research project. Her work at the Osler Library will investigate the history of physicians immigrating to Canada in the second half of the 20th century. Dr. Brenner works at at the Wellcome Library in London as a specialist in medieval and early modern medicine. She was previously a post-doctoral research fellow at the Pontifical Institute of Medieval Studies, where she also earned a Licence in Medieval Studies. She holds a doctorate in history from the University of Cambridge and has published on the history of leprosy in the Middle Ages. At Osler she will be looking at a number of early printed works on the “French Disease,” a disfiguring illness roughly equivalent to modern-day syphilis. Emily Lockhart is Toronto-based photographer, designer, and curator. As a travel grant recipient, she will continue her work on a historical photographic project with McGill’s School of Architecture. The project explores the spaces of medical instruction at McGill in the wake of World War I and today by reproducing a collection of 146 glass plate negatives taken by McGill medical student James R. Lockhart (1890-1980) after the war and rephotographing the places that appear in the historic photographs as they now exist. Congratulations to all of our 2015 recipients! 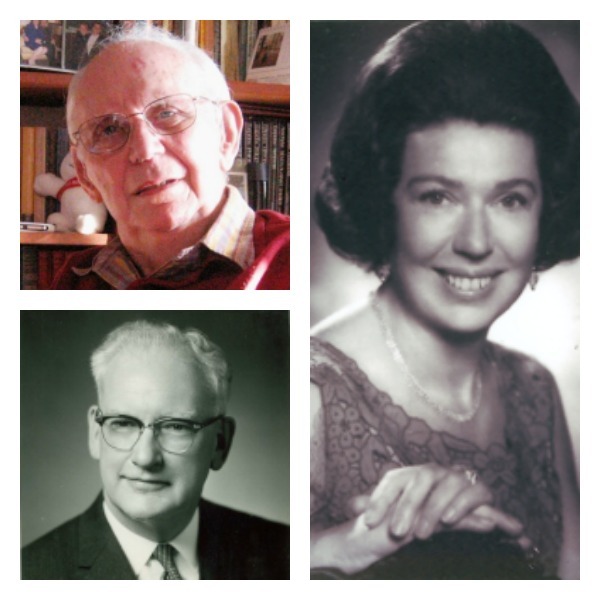 The Dr. Edward H. Bensley Research Travel Grant is endowed through generous gifts from the McGill Medicine Class of 1936 and the Pope-Jackson Fund. 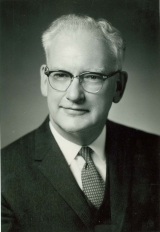 The grant honours Dr. E. H. Bensley’s place in the history of the Osler Library, as a former dean of the Faculty of Medicine at McGill who devoted the latter part of his life to the study of the history of medicine. For more information about the research travel grant, please see our website.